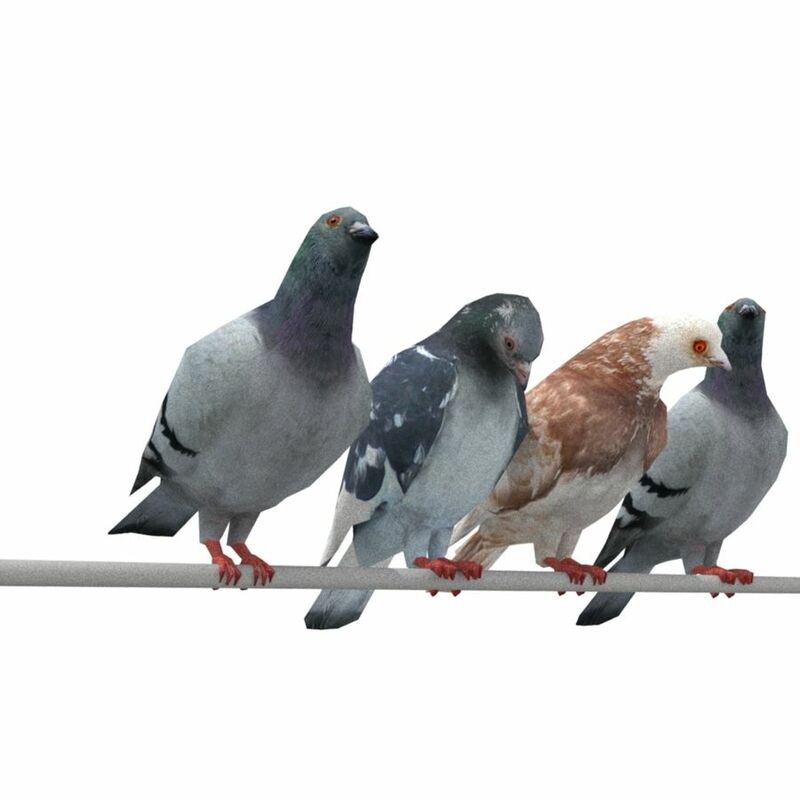 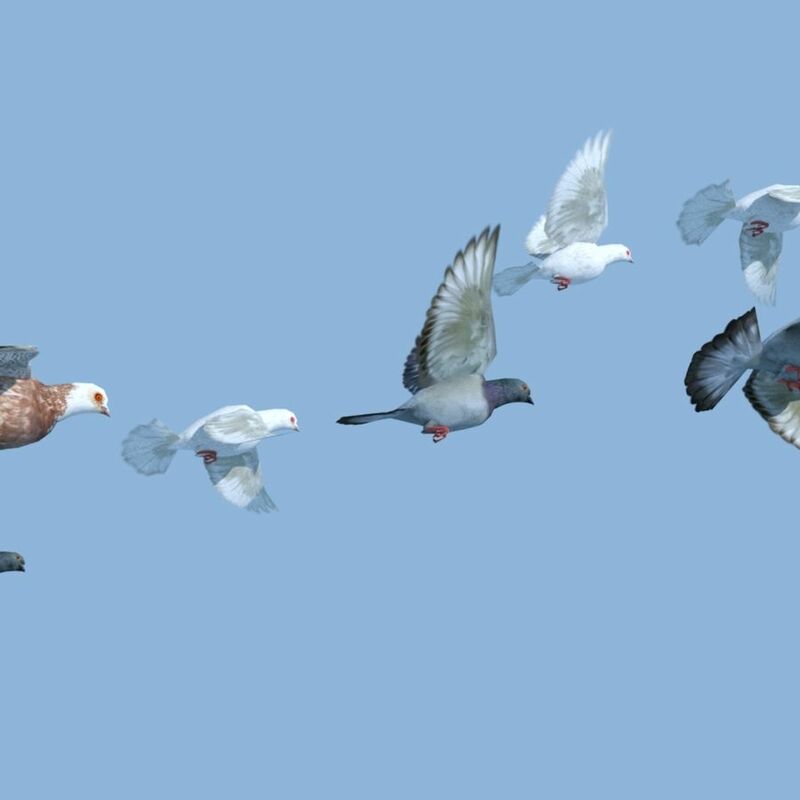 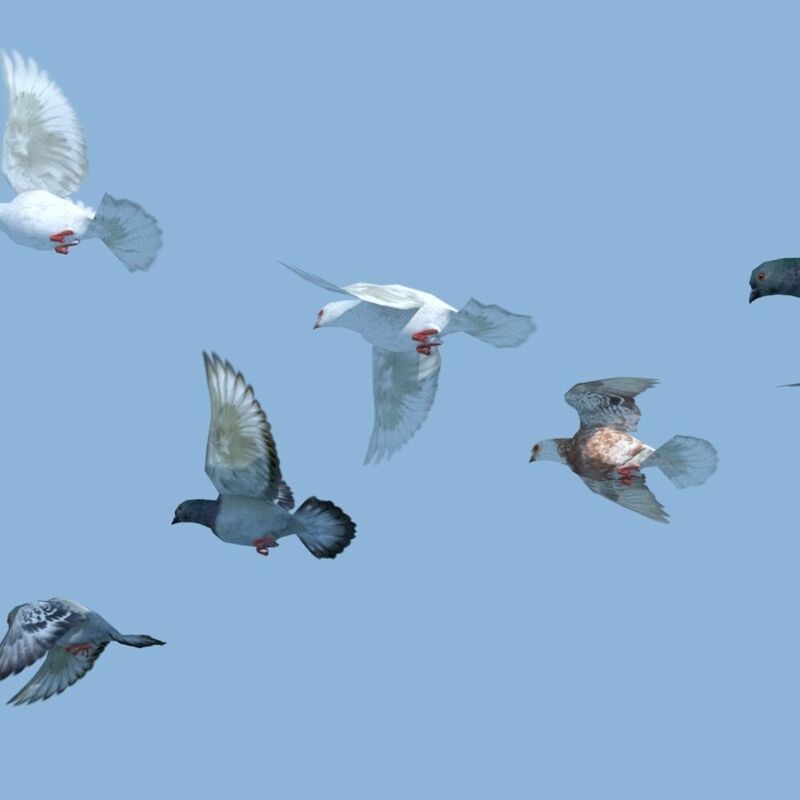 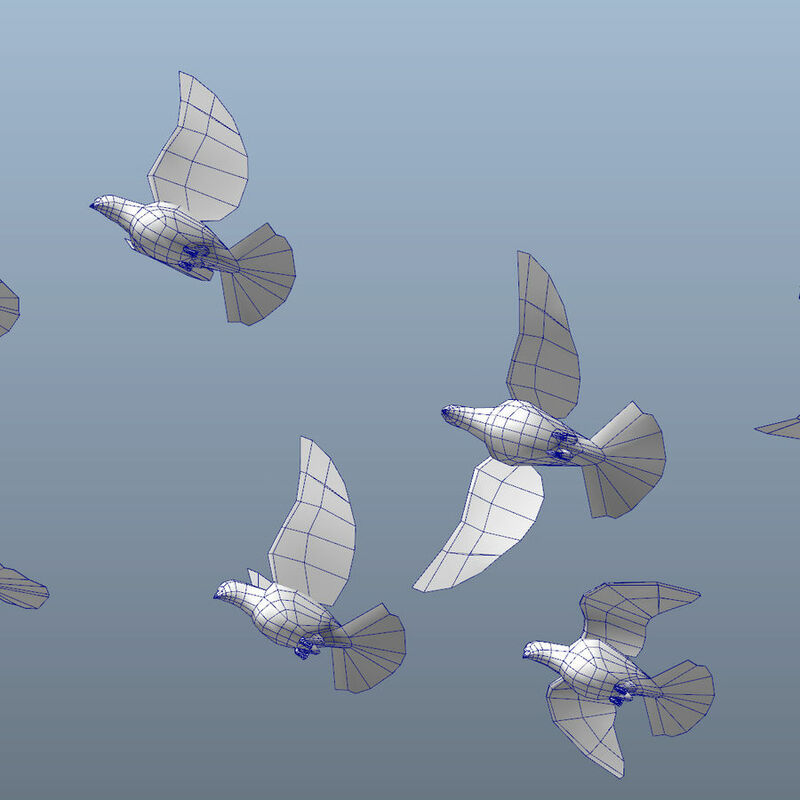 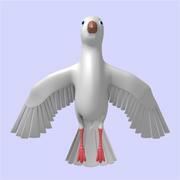 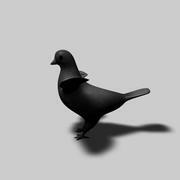 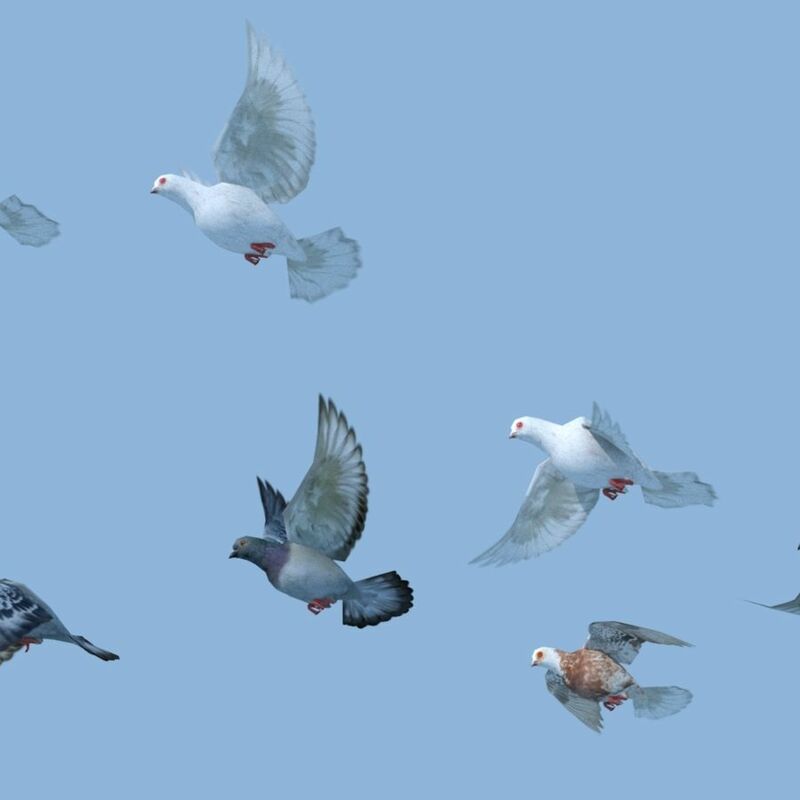 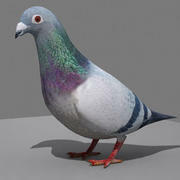 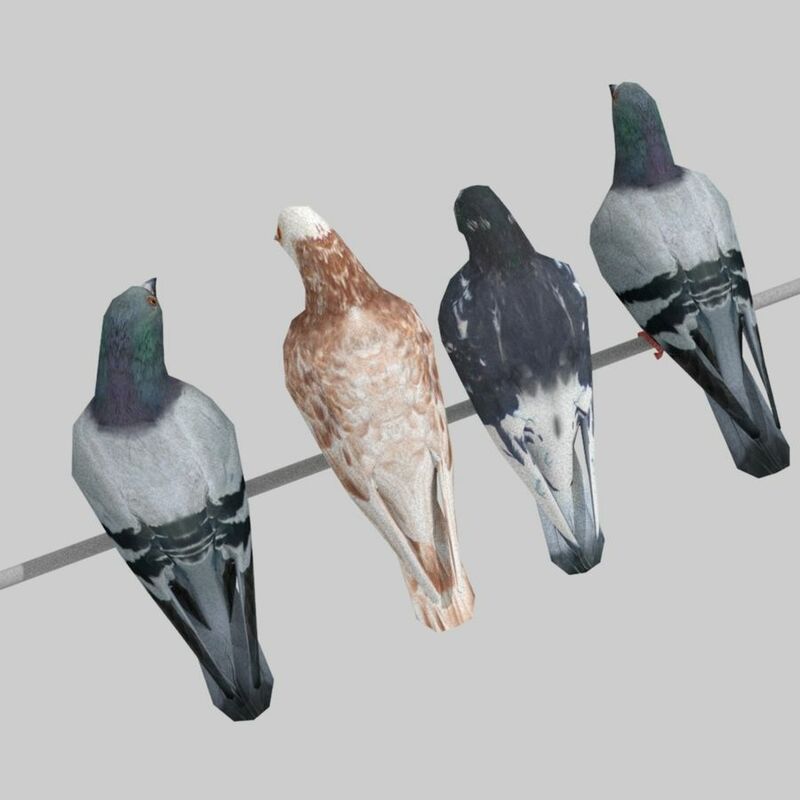 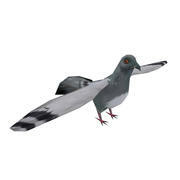 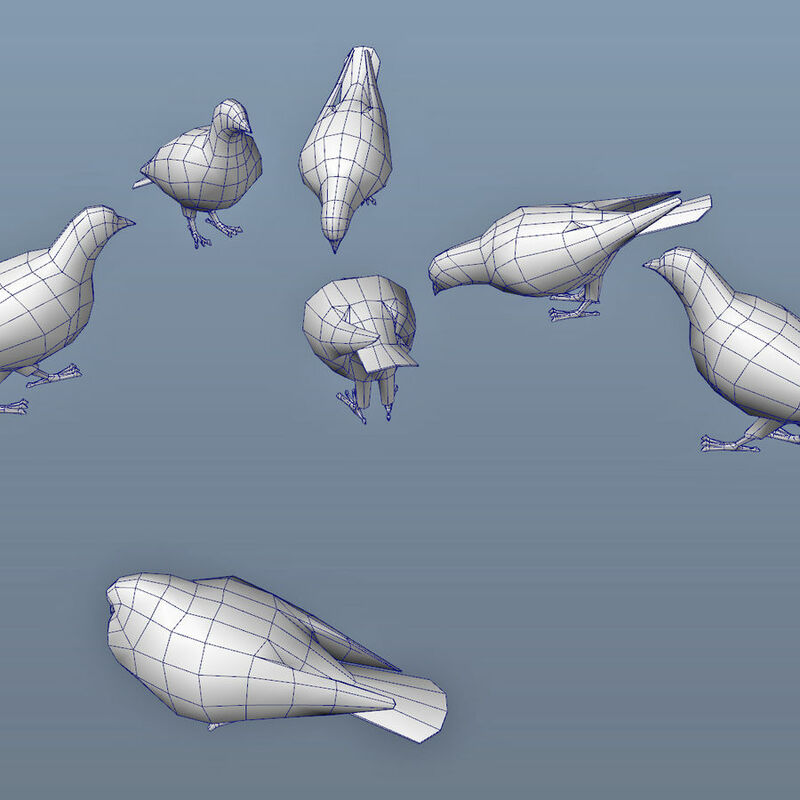 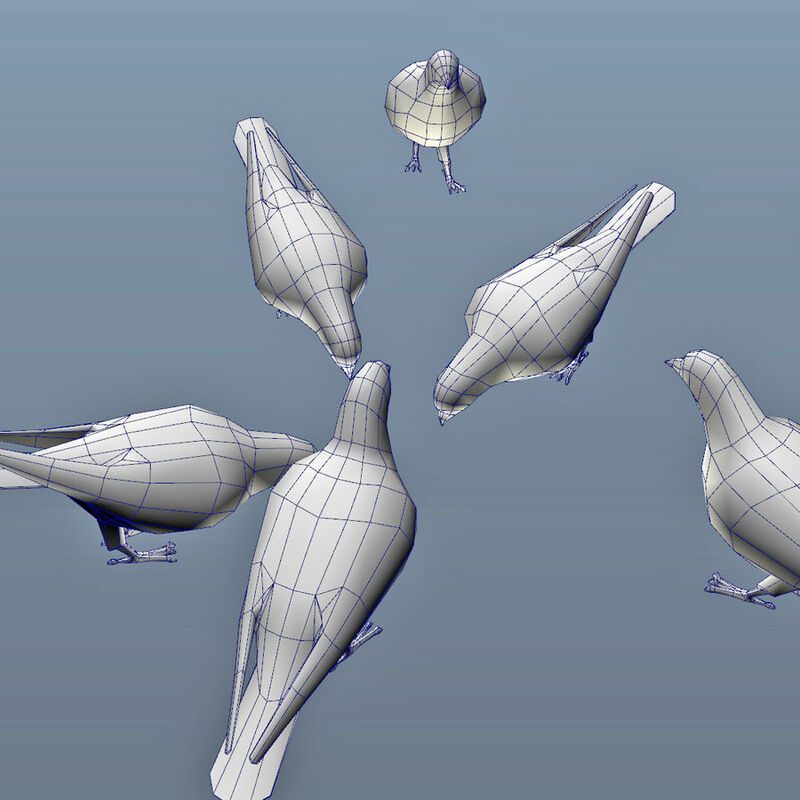 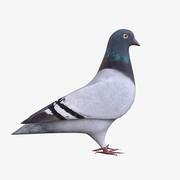 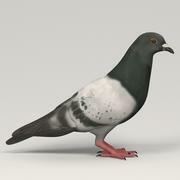 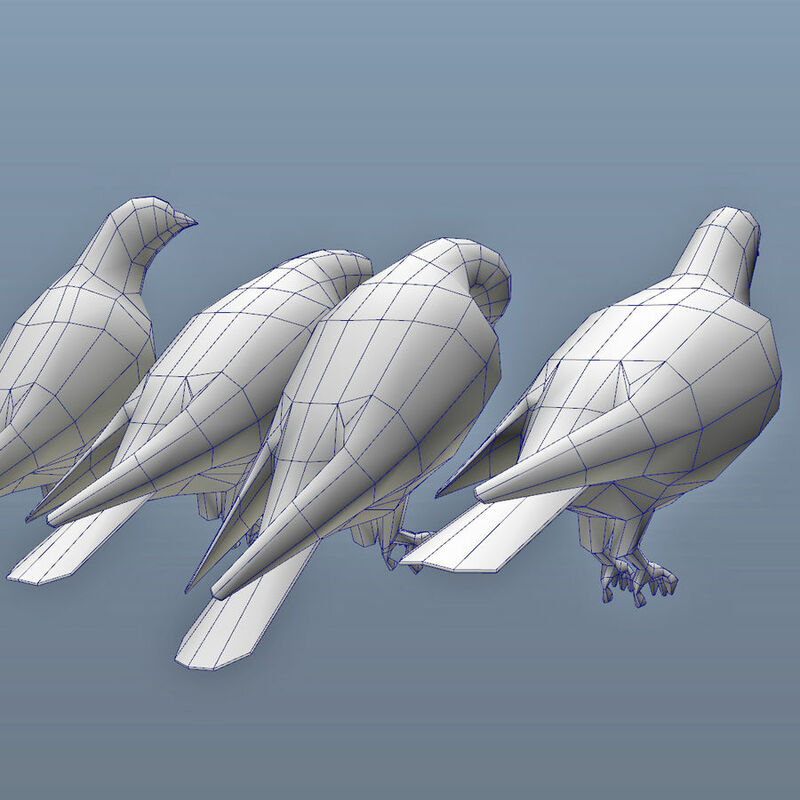 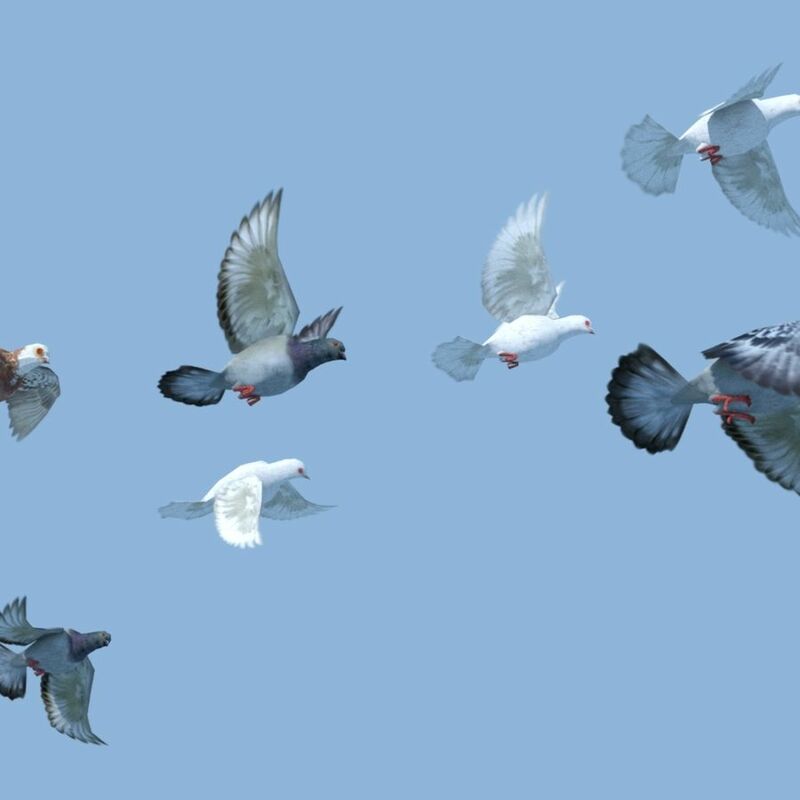 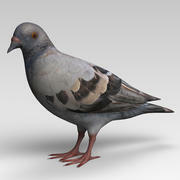 Pigeons modeled in Maya 2014. 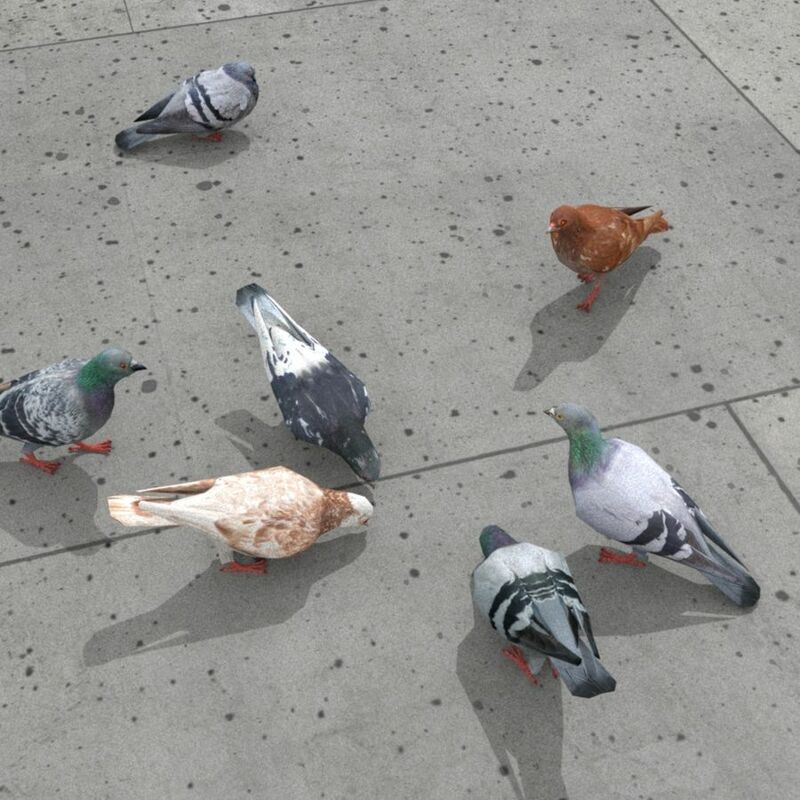 Low poly with 4k textures and clean geometry. 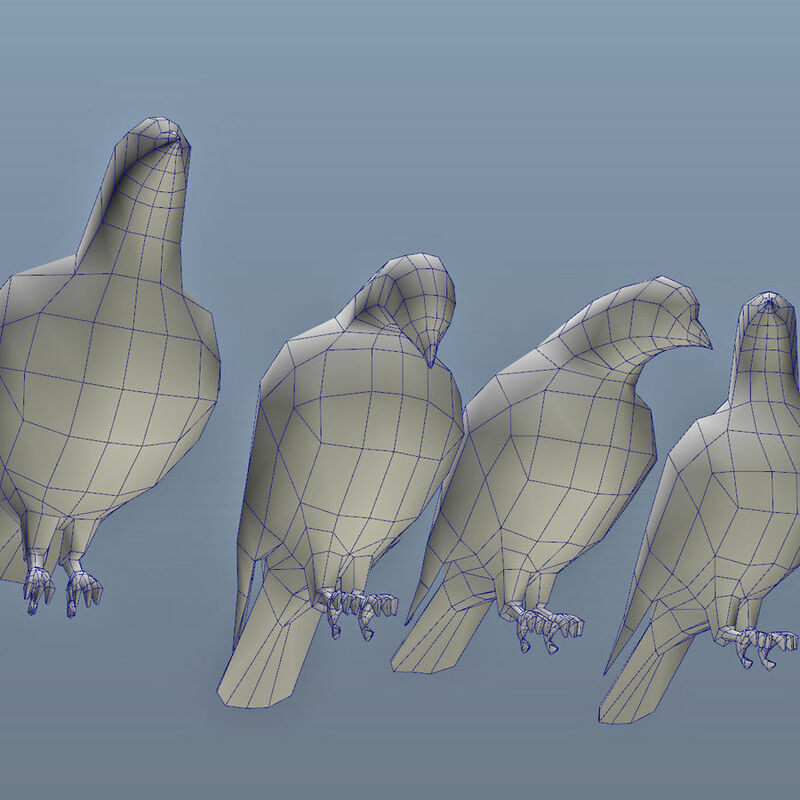 Comes with foot cube for rescaling. 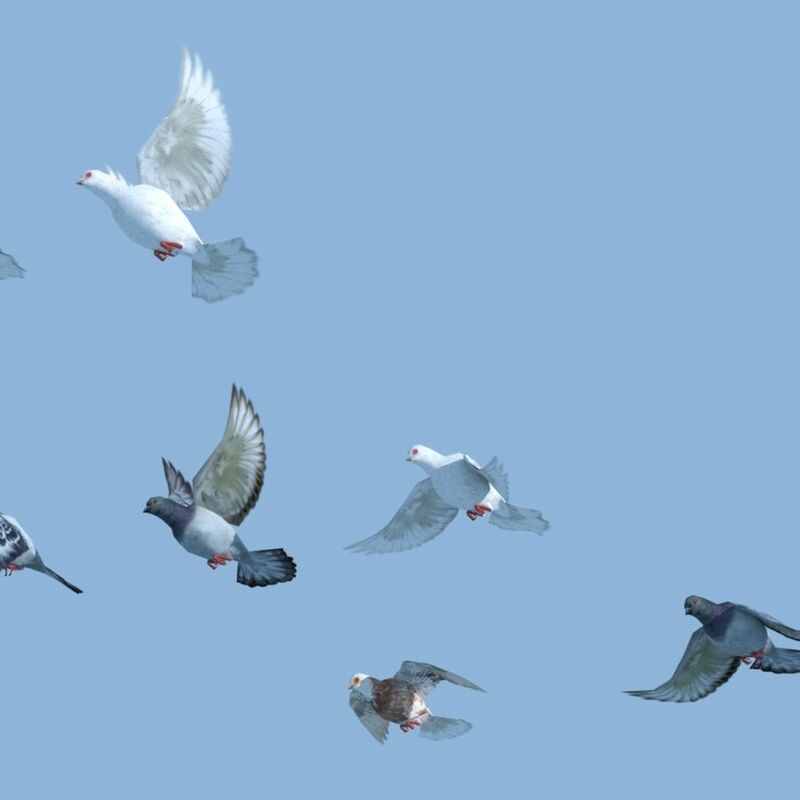 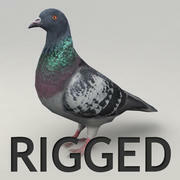 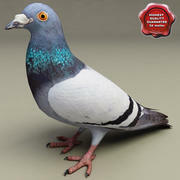 Set includes a group of flying pigeons, eating pigeons and perched pigeons. 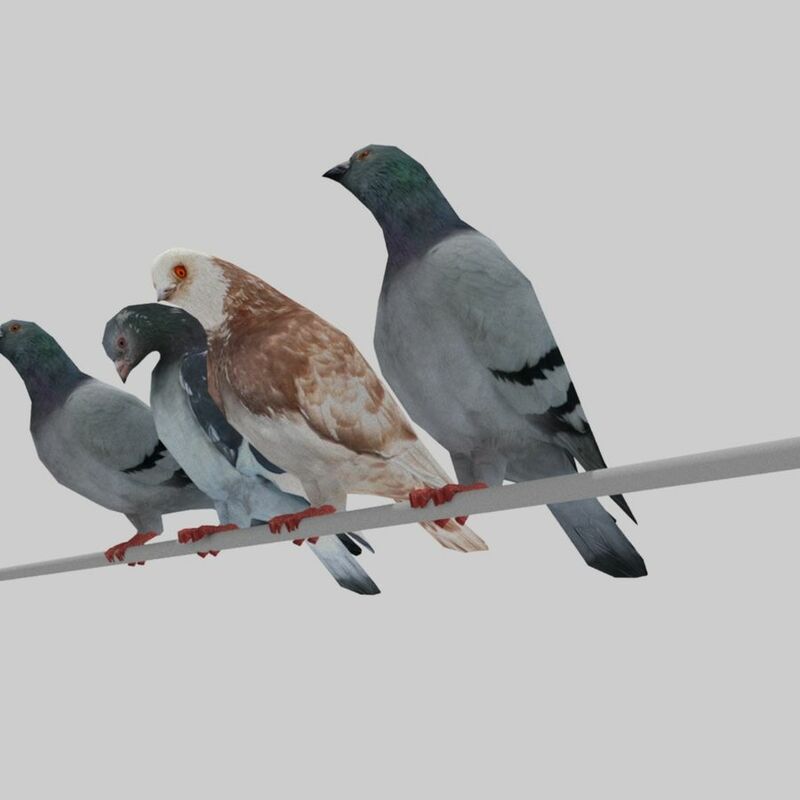 Great set to add realism to architectural renders. 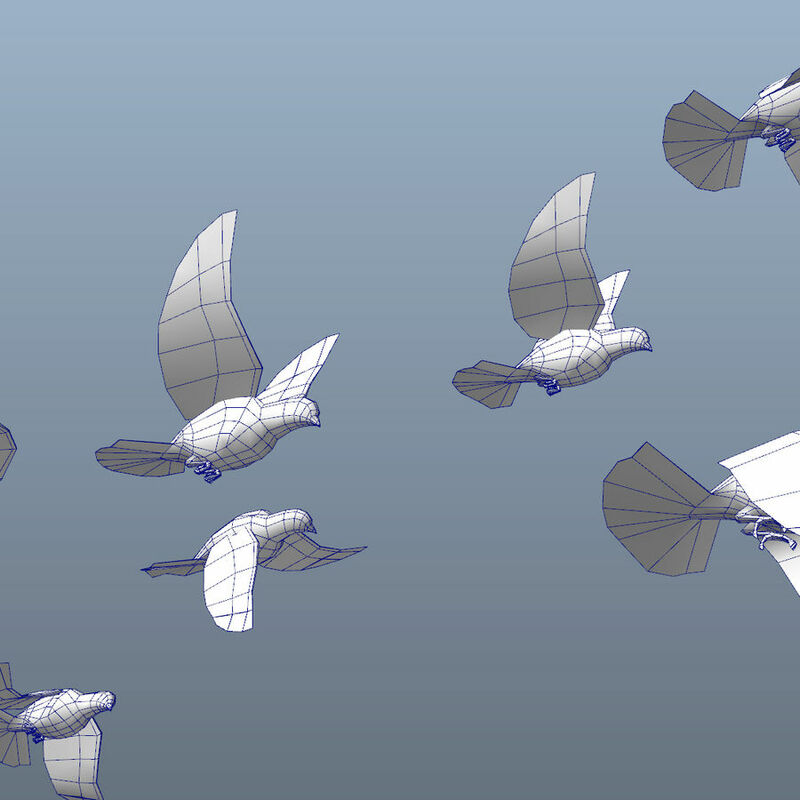 Maya,FBX, OBJ and textures zipped into one file for download.